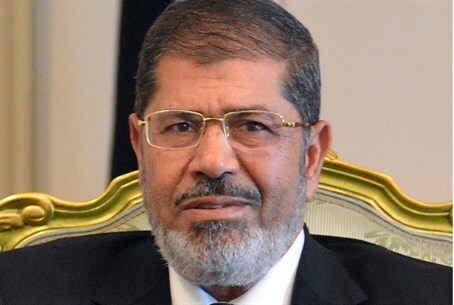 Egyptian President Mohammed Morsi recalls the ambassador to Israel in protest of operation Pillar of Defense. Egyptian President Mohammed Morsi has recalled the Egyptian ambassador to Israel, Atef Mohamed Salem, Egyptian state TV reported on Wednesday evening. In a televised statement, presidential spokesperson Yasser Ali said that Morsi has also summoned the Israeli ambassador in Cairo to convey Egypt's rejection of the Israeli airstrikes in Gaza. "The president has ordered the Egyptian representative at the United Nations to call for an emergency meeting at the Security Council. In a phone call with the Arab League general-secretary, the president has also called for an emergency meeting for the Arab foreign ministers," Ali was quoted by the website of the Egyptian daily Al-Ahram as having said. The Egyptian move was a reaction to the IDF’s Operation Pillar of Defense which was launched Wednesday afternoon. The IAF fired a missile at a car in Gaza, killing the commander of Hamas's "military" wing, Ahmed Jaabari. The IAF then also struck launch silos for Hamas's longer-range Fajr rockets, which can hit central Israel, in order to preclude their use. Prime Minister Binyamin Netanyahu and Defense Minister Ehud Barak held a short news conference Wednesday evening in which they announced the goals of the operation. Prime Minister Netanyahu said that the operation will be widened if necessary. On Tuesday, even before the IDF operation in Gaza began, Egypt’s Muslim Brotherhood, the movement to which Morsi belongs, blamed Israel for escalating the situation in Gaza.